Dempsey Heating Ltd provides a complete plumbing service to both domestic and commercial clients. 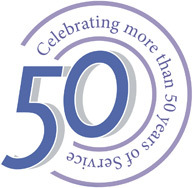 Celebrating over 50 years in business, we are experienced and professional and take pride in providing a very high level of service to all our customers. Whatever your plumbing or heating requirements, we would be pleased to hear from you. Please call us on 01328 862189 or contact us through this website and we will contact you. As industry experts we are accredited by the leading industry organisations including Gas Safe, MCS, Oftec and Anglian Water. This means that our years of experience is backed by the latest training and support. We provide many of the leading brands including Ideal Standard, Honeywell, Heatrae Sadia, Aqualisa and Veissmann, and we work closely with them to ensure that the products we install for our customers meet our exacting high standards.